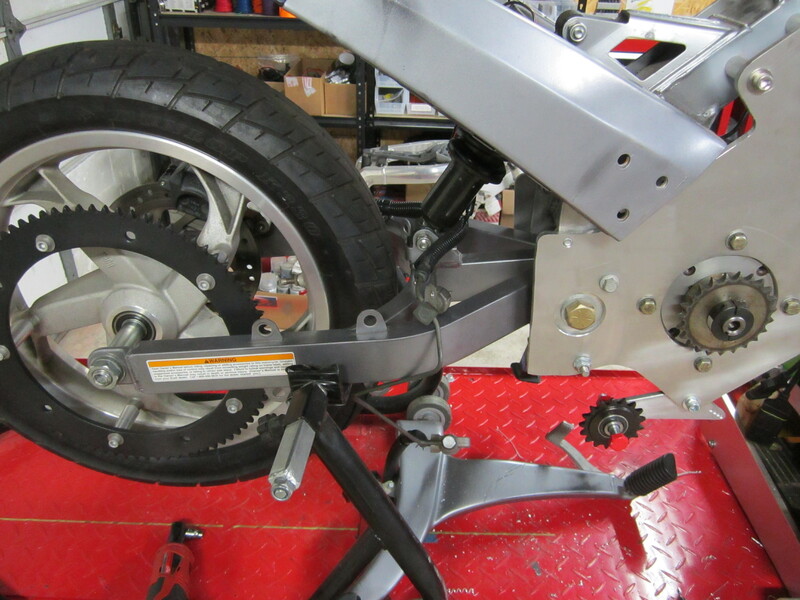 Chain Challenges… Starting this project I really wanted to somehow keep the rubber drive belt (like stock Buell’s and Zeros) But unfortunately the gear-ratio or “belt ratio” was WAY off from what I needed to have for the new electric motor. This meant I’d have to find a new smaller front drive pulley and a new toothed belt. I soon found out that was like trying to find a a rainbow colored unicorn. I starred at the parts and realized that converting the whole system to #40 drive chain and sprockets wouldn’t be hard at all. BUT there was no way of adjusting slack out of the chain. 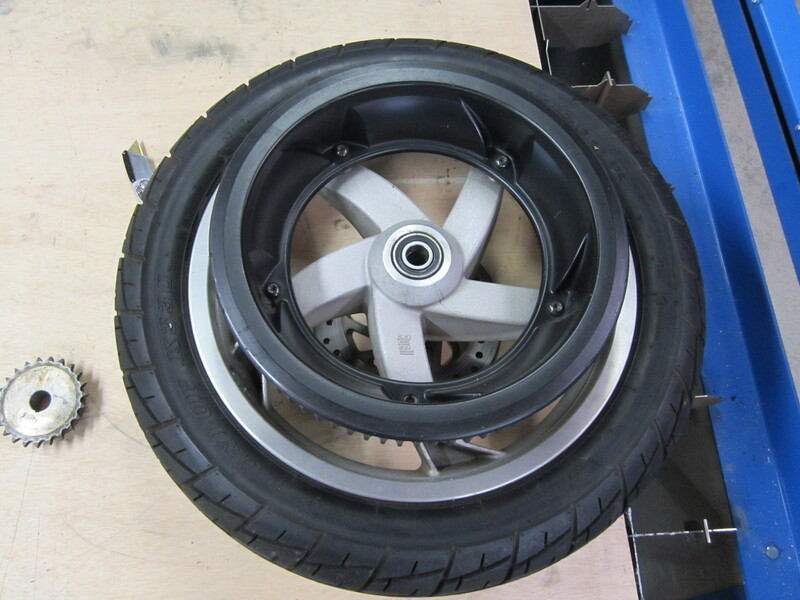 Neither the Motor or the rear wheel was adjustable. So here’s what I did, and it works flawlessly! 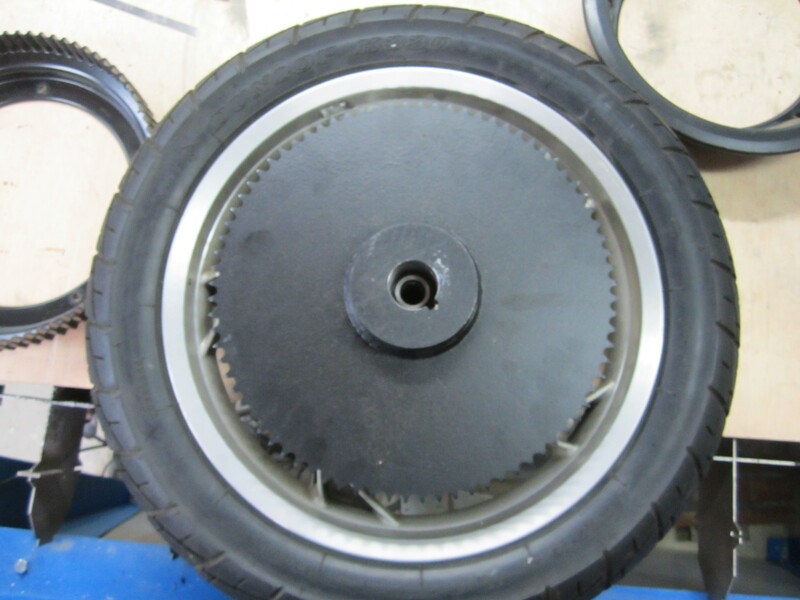 Here is the stock pulley cog on the Buell rear wheel. Just remove it and set aside. 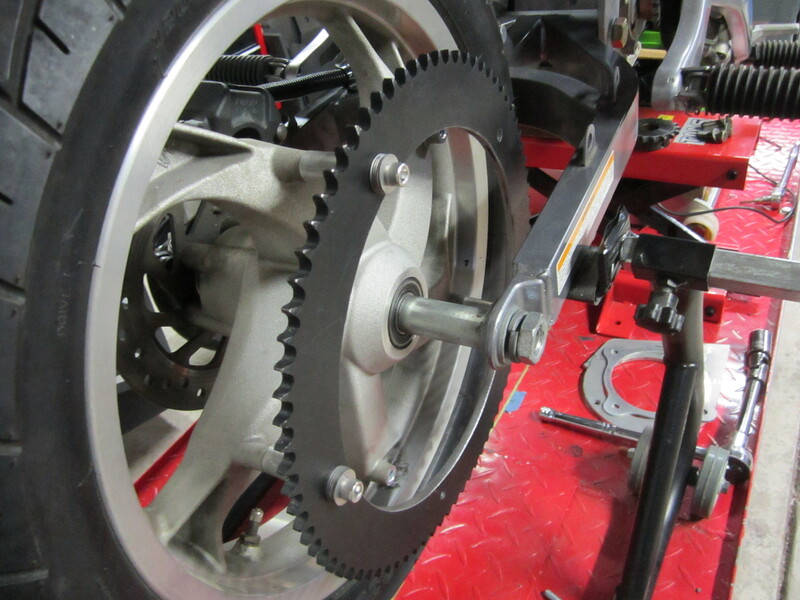 Here is the new 80 tooth rear sprocket lying on-top of the existing stock Buell wheel. As you can see the bolts will allow for just enough chain side clearance. 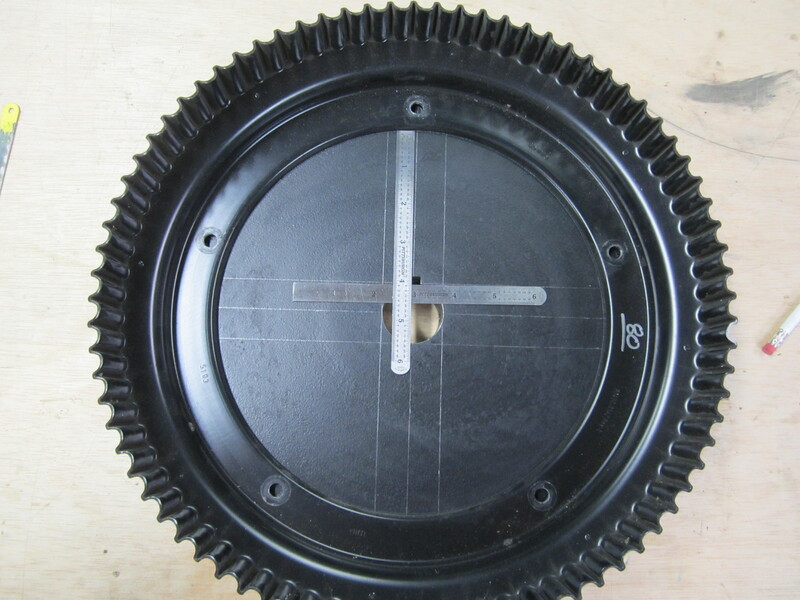 Carefully lay the old pulley cog flat and exactly centered on top of the new 80 tooth steel sprocket. 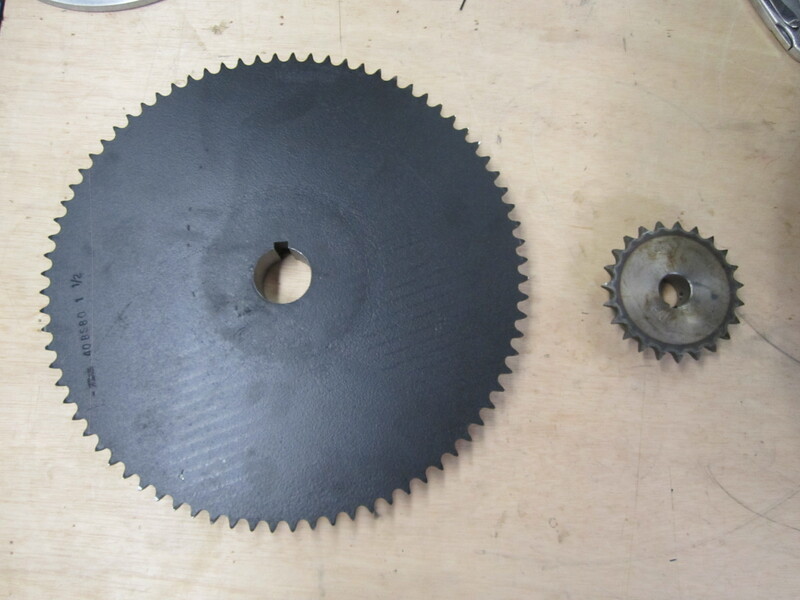 This will give you the 5 drill marks and center cut-out area for this new sprocket. I simply used a drill press for the 5 mounting holes and a jig-saw for the large center opening. It took about 3 metal blades and 20 minutes of hand jarring cutting, but it will work. 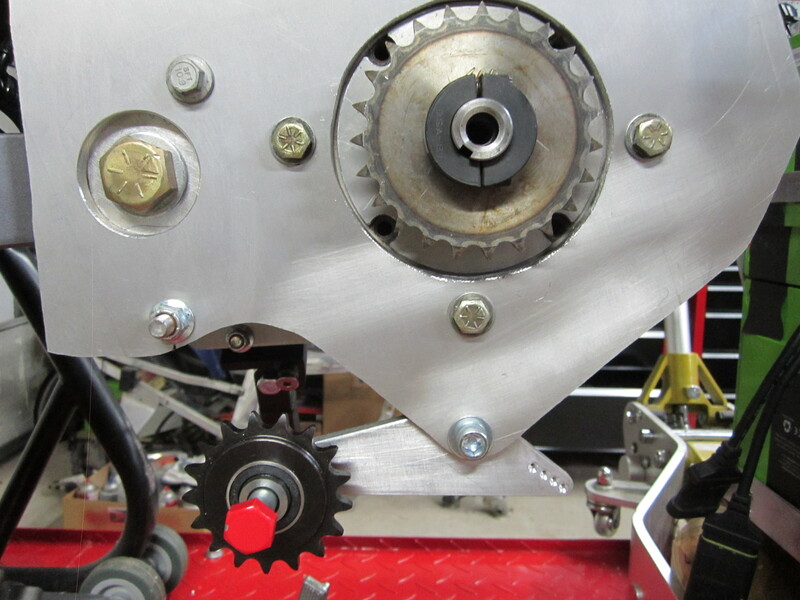 When mounting to the wheel use 2.5″ long allen bolts, washers, and 1.75″ aluminum stand-off’s to make the sprocket align with the front motor sprocket. Now the auto spring tensioner. Like noted before, I have NO way of adjusting chain slack. So I decided to take a page from Buell’s book and use a constant spring tensioner. 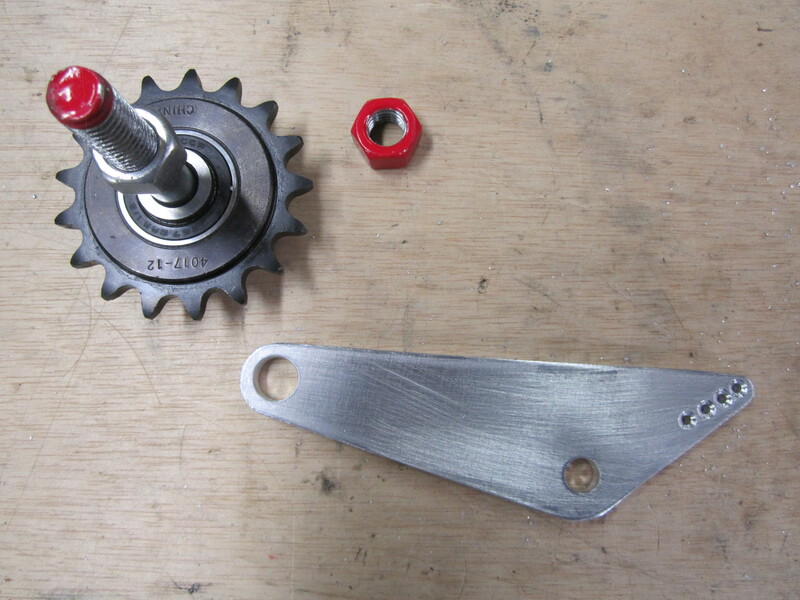 Here are the parts involved, a 17 tooth idler sprocket with 5/8″ bore (McMastercarr.com) a 5/8″ bolt with smooth upper shaft, and fabricated swing-arm. Now bolt it all together and mount it to the bottom of the motor mount. The remaining 4 small holes are for a spring tensioner that will be attached. 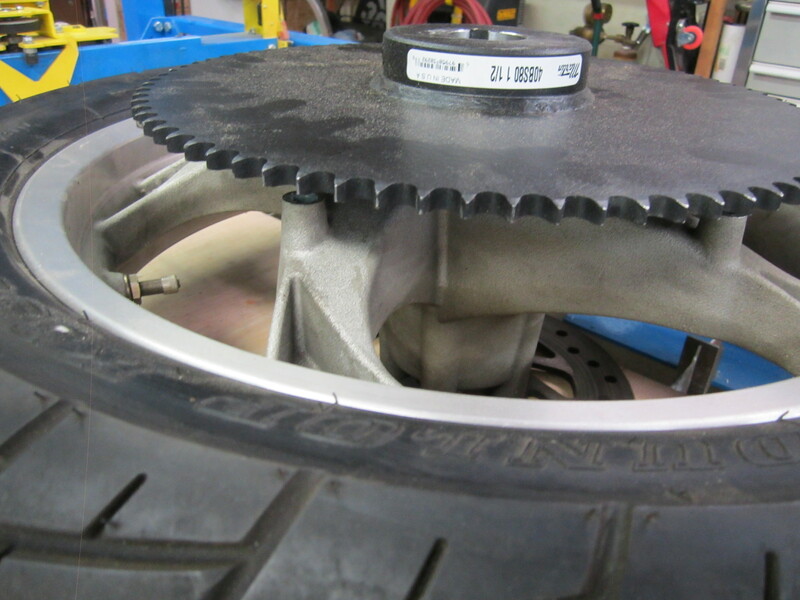 Remember to use a spacer and/or washers to align the idler pulley in-line with the drive and wheel sprockets, otherwise chain binding and excessive wear/resistance will occur. Use a straight line carpenter laser if available. 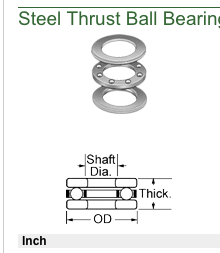 NOTE: I didnt get a photo of these, but remember to install TWO 5/8″ thrust washers (McMastercarr.com) between the motor mount and the bolt head attaching it. This allows for the swing-arm tensioner to operate freely. Grease it with thick chassis grease to keep water out. When you’re all done the new drive system should look like this. Now wrap a chain on and its ready to go. I also discovered that you can manually push the tensioner upwards causing chain slack, and carefully “walk” the chain off the motor sprocket and simple and easy chain removal.